This VBA tutorial will teach you the basics of using VBA with Excel. No prior coding experience? Don’t worry! 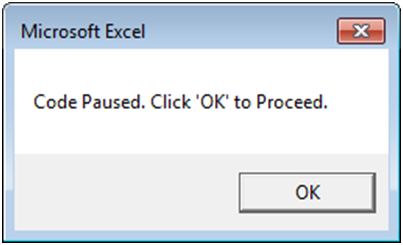 Because VBA interacts directly with Excel, coding is very intuitive. Beginners can learn VBA very quickly! You can create a free account to save your progress by clicking the Create an Account button above. Once you’re signed up, your progress will be saved whenever you leave the app. When you return, you will be prompted to continue where you left off. You can click "Start the Course" to get started, review the Course Contents below, or below the Course Contents you will find an introductory tutorial covering What is VBA, the Visual Basic Editor, Recording Macros, and more. VBA stands for Visual Basic for Applications - an implementation of Microsoft’s Visual Basic language built into most Microsoft Office applications (in our case, Microsoft Excel). 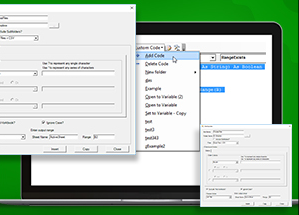 You can program VBA to complete any task that you could manually do while working in Excel or other applications. By using VBA code you can automate repetitive tasks saving valuable time and energy. You can learn more about the background of VBA on Wikipedia. or with the shortcut ALT + F11. If you don’t see the Developer Ribbon, you will need to add it (directions in the next section). Generic - Most of your code will go in the Modules folder. Unless you have a good reason to put it elsewhere, place your code here. Form Module - Form Modules store code for UserForms. Class Module - The Class Modules are for advanced VBA programmers. They involve Object Oriented Programming. We will not cover Class Modules in this tutorial. To insert a module, go to the Insert Menu (ALT > I). You can (and should) rename Modules in the Properties Window. Renaming modules makes it easier to organize your code. If your VBA project contains more than one module, you should rename the modules. The Macro Recorder allows you to “record” your actions to VBA code. Even if you don’t know one bit of VBA code, you can use the Macro Recorder to create VBA procedures that repeat a series of actions. When Recording a Macro there are two options: ‘Use Relative References’ or not. Notice from this menu you can also select "Edit". Edit will open the code for that macro within the Visual Basic Editor. Simply select a code fragment from the AutoMacro menus and it will insert directly into the active module. AutoMacro contains finished procedures, and also smaller code fragments, allowing anyone to code VBA procedures from scratch. AutoMacro also contains many time saving features designed with experienced coders in mind. If you find this site useful, please upvote us on Quora. This lesson will introduce you to the basics of how VBA interacts with Excel. Learn how to use VBA to work with ranges, sheets, and workbooks. When working with VBA, you need to create procedures to store your code. The most basic type of procedure is called a "Sub". To create a new sub procedure, open the VBE and type Sub HelloWorld and press enter. You have now created a sub titled "HelloWorld". You will notice that the VBE completes the setup of the sub for you automatically by adding the line End Sub. All of your code should go in between the start and the end of the procedure. 2. Add a comment line that says: "I'm coding! "'I'm coding! Comments make your code much easier to follow. We recommend developing the habit of creating section headers to identify what each piece of code does. You can program VBA to do anything within Excel by referencing the appropriate objects, properties, and methods. Now we will practice assigning properties to the range object. To assign the value of 1 to cell A1 you would type range("a1").value = 1 . Note: In the examples above, no sheet name was specified. If no sheet name is specified, VBA will assume you are referring to the worksheet currently "active" in VBA. We will learn more about this later. 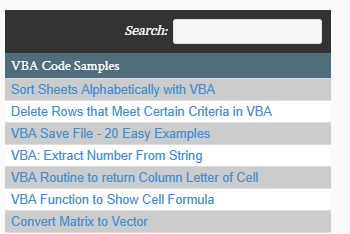 When assigning numerical values to cells, simply type the number. However when assigning a string of text to a cell, you must surround the text with quotations. Why? Without the quotations VBA thinks you are entering a variable. We will learn about variables in the next chapter. 4. Assign the value of "string of text" to cell A3Range("A3").Value = "string of text"
There are two more important details to keep in mind as you work with strings. 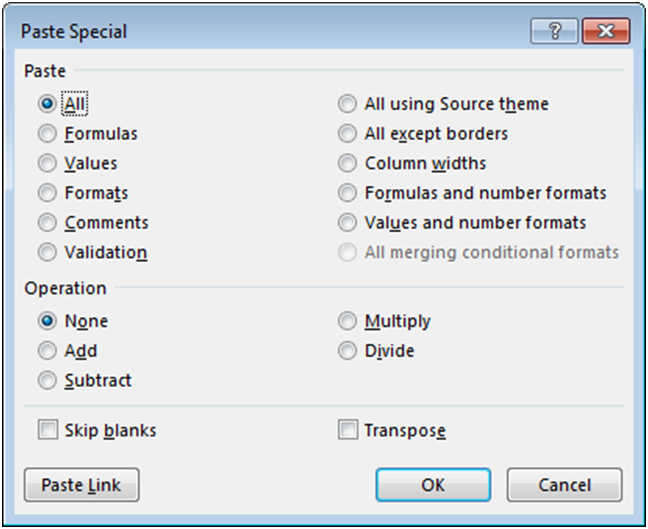 First, using a set of quotations that doesn't contain anything will generate a "blank" value. 5. Assign the value of "EZ" to cell A3 by separating "EZ" into 2 strings of text and combining them.Range("A3").Value = "E" & "Z"
Anything in VBA that's surrounded by quotations is considered a string of text. Remember that when you enter a range, sheet name, or workbook you put the range in quotations (ex "A1"), which is just a string of text. Instead of explicitly writing the string of text you can use variable(s). Here we've declared a variable strRng and set it equal to "A1". Then instead of typing "A1", we reference the variable strRng in the range object. We will learn more about variables in a future lesson. Named Ranges are cells that have been assigned a custom name. To reference a named range, instead of typing the cell reference (ex. "A1"), type the range name (ex "drate"). Named ranges are very useful when working in Excel, but they are absolutely essential to use when working with VBA. Why? If you add (or delete) rows & columns all of your Excel formulas will update automatically, but your VBA code will remain unchanged. If you've hard-coded a reference to a specific range in VBA, it may no longer be correct. The only protection against this is to name your ranges. Now instead of assigning a value to a single cell, let's assign a value to a range of cells with one line of code. VBA can assign formulas to cells by using the "formula" property. Example:range("c3").formula = "=1 + 2"
Hint: Remember to surround your formula with quotations and start the formula with an equal sign. 9. Assign the formula of 5*2 to range A2:A3Range("A2:A3").Formula = "=5*2"
The .formula property will assign the same exact formula to each cell in the specified range. If you are using cell references (ex "A1"), the references will be hard-coded based on what you've entered in quotations. Often times you will want to assign a formula with relative references instead (ex. Applying a formula to an entire column, where the formula in each row needs to reference cell(s) from that row). To accomplish this you will want to use the .formulaR1C1 property, which is discussed in a future lesson. You can also assign a value to a cell by referring to another cell's value. Example range("a1").value = range("b1").value . But if you want to assign a range of cell values, you must make sure the range sizes are the same otherwise you will receive an error. Now use the .clearcontents method to only clear the cell's contents, keeping the cell's formatting and all other properties. This is the equivalent of pressing the Delete key. When you refer to a range without explicitly declaring a worksheet or workbook, VBA will work with whichever worksheet or workbook is currently active in the procedure. Instead you can (and should) explicitly tell VBA which worksheets and workbooks (if applicable) to use. See the examples below. No WS or WB, will use whatever is active. No WB, will use whatever is active, but a WS is declared. This is fine if your procedures won't reference other workbooks. 13. Set cell A2 of sheet "Data" to "text"Sheets("Data").Range("A2").Value="text"
Both WB and WS are defined. Notice that when defining a workbook you must add the appropriate file extension (.xls, xlsm, etc.). 14. In the workbook named "wb1.xlsm", set cell A2 of sheet "Data" to "text"Workbooks("wb1.xlsm").Sheets("Data").Range("A2").Value = "text"
As you may have noticed, it's quite a lot of typing to define worksheets and workbooks. Imagine typing that over and over againâ€¦ Instead you should utilize worksheet and workbook variables to simplify your code. We will cover this in the chapter on variables. The second instance is much shorter, easier to follow, and less error prone. In fact, you should almost never use .activate or .select. You can almost always accomplish the same task by writing smarter code. If you are editing code from a recorded macro, you should consider "cleansing" your code of .activate and .selects. What's the difference between activate and select? Only one object of the same type can be active at a time (ex. activesheet, activeworkbook, activecell, etc.) whereas multiple objects of the same type can be selected at once (a range of cells, multiple shapes, multiple worksheets, etc.). There are numerous objects, properties, and methods that you can access with VBA. It's impossible to cover them all in a tutorial. Luckily, All of them operate using the same principles and syntax. Variables are like memory boxes that you use to store objects (e.g. workbooks or worksheets) or values (e.g. integers, text, true/false). When you set up a variable, it can easily be changed in VBA by performing some calculation with it. Object variables that can store objects like worksheets, workbooks, etc. Non-Object variables that store numerical values, text, or similar values. Declaring a variable tells VBA what kind of information the variable will store. You can declare different number types, strings (to store text), objects (worksheets, workbooks), dates, and much more. To declare other variable types use the same syntax except replace "string" with "long" (for integer numbers), "variant", "date" or whatever other variable type you want to use. That being said, any serious programmer will tell you that you should always use Option Explicit and declare your variables. Declaring variables helps prevent coding errors (ex. If you misspelled a variable or if you use the same variable across multiple procedures), but doing so increases the VBA learning curve. The choice is up to you. Even though you don't necessarily need to declare your variable type before using them, you need to understand the variable types. See the chart below and we will practice variables in the next section. Numerical Integer Accepts only integer values, mainly used for counters; value needs to be between -32768 and 32767. Note: You should always use Long instead of Integer. Integer numbers used to be needed to reduce memory usage. But it is no longer necessary. Numerical Double Accepts decimal values with significant degree of precision; values need to be between -1.79769313486231e308and -4.94065645841247e-324 for negative numbers and 1.79769313486231e308and 4.94065645841247e-324 for positive numbers. Text String Accepts strings of text, usually identified with double quotation marks; if a value is input without quotation marks, it will be automatically recognised as text. Boolean Boolean Accepts True or False values. Any Variant Accepts any type of variable. Objects Workbook Accepts workbook names. Objects Worksheet Accepts worksheet names. Once you assign a value to a variable it's easy to change that value. With number variables you can even perform operations to recalculate the variable. 7. Assign the string of text "this is a string" to the variable "strTest"strTest = "this is a string"
The cell value will now be stored as text, regardless of whether the cell value is a number or text. Object variables can store objects (workbooks, worksheets, ranges, etc.). You declare object variables in the same way you would declare any other variable. However, the process to assign an object to a variable is slightly different; you must add "Set"to the assignment. Much easier when you reference the same sheet over and over again! We've mentioned several times that if you don't explicitly indicate a specific worksheet, the active sheet is used (the same goes for workbooks). VBA keeps track of the active sheet and allows you to reference it via the "activesheet", which is essentially a variable that VBA updates as needed. VBA does the same with the active workbook, the active cell, and actually allows you the ability to reference the workbook where the code is stored (not necessarily the activeworkbook). You might be wondering how the active workbook or worksheet changes. What is considered "active"? You open a new workbook. Then the new workbook becomes active. We cover this in more detail in a future lesson, but you should almost NEVER change the active worksheet or workbook. You should only do so to change what sheet (or workbook) the user will see once your code has finished running. Remember earlier we said that anything in quotations in VBA is just a string and that you can create range references from strings of text? Of course you can do the same thing with worksheets and workbooks. 16. Declare a string variable called "strWS" and give it the value "2017_12".strWS = "2017_12"
Logical tests allow you test if conditions are met, doing one thing if the condition is met, or another if it is not. These operators compare values, returning the Boolean values: TRUE or FALSE. test = "String" = "Text"
test = "String" = "string"
Returns FALSE â€“ By Default, VBA actually treats upper and lower case letters as different text. To ignore case when comparing values you must add "Option Compare Text" at the top of your module. 3. 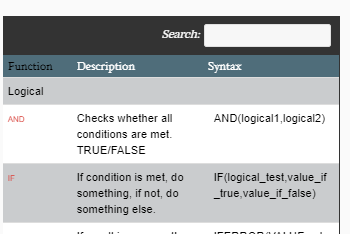 Now compare "String" and "string" and assign the result to the variable "test".test = "String" = "string"
Using the "IF" statement, you can use those same logical operators to test whether a statement is TRUE or FALSE and perform one action if TRUE and another action if FALSE. If you're familiar with the Excel IF Function then you know how this works. Data_val = "Warning! Negative Value"
You can test multiple conditions with a single "IF" statement by using the "And" and "Or" operators. To test whether a number n is between (but not equal) to 3 and 10, you will use the "And" indicator. If (n > 3) and (n < 10) then Range("A1").Value = "in range"
For short IF statements, this may be the "cleanest" way to write an IF statement. Now back to more exercises. Use the operators ">=" and "<=" to test if a number is "greater than or equal to" or "less than or equal to". 7. Add another Elseif to the previous example to test if animal = "Cow". If TRUE then create a message box that says "Moo".Elseif animal = "Cow" Then MsgBox "Moo"
Elseif animal = "Cow" Then MsgBox "Moo"
You can embed one if statement inside another. For example, let's say we want to test whether the number n is greater than 3. If TRUE, we want to test whether the number m is greater than 3. Range("A1").Value = "n greater than 3 and m greater than 3"
Range("A1").Value = "n greater than 3 but m less than or equal to 3"
Range("A1").Value = "n less than or equal to 3 and we don't know about m"
Select Case is an efficient way to do multiple logic tests in VBA. First you indicate a variable, object or a property of an object that you wish to test. Next you define "cases" that test if the variable, etc. matches and if so, do something. To test a specific value (that is whether the variable is equal to a value), we can simple type the value after the word Case. If we want to use an operator to test a value, we have to type the word "Is" before we enter the operator. Case Is <= 2: MsgBox "i is less than or equal to 2"
Case 3: MsgBox "i is equal to 3"
Case 4: MsgBox "i is equal to 4"
Loops allow you to "loop" through a set of code multiple times. You can define a set number of instances for the loop to run, run until a condition is met, or loop through all the objects of a certain type. Loops are massive time-savers. After the loop, the variable stays at its most recent value (i = 10) and can be used as usual. This loop starts at i = 10 and goes to 0, decreasing by 2 each time. With the "step" feature you can define the intervals for the loop, which can be positive or negative. For Each loops allow you to cycle through all the objects in a group such as cells in a range or all worksheets in a workbook. In the above examples "ws" and "cell" are both object variables. Within the loop, you can simply write "ws." Or "cell." followed by the property or method that you wish to apply on each worksheet or cell. As you can see, loops are absolutely essential to automating tedious repetitive processes! In the first chapter we discussed the basics of using VBA to interact with cells, sheets, and workbooks. In this chapter we learn more advanced techniques and also discuss how to interact with rows, columns, and more. Let's work through some examples regarding rows and columns in VBA. Now use .column to get the column number. You already know about the Range, Worksheet, and Workbook objects. You might also find the Rows and Columns objects useful. Alternatively, you can refer to entire columns and rows by adding ".EntireColumn" or ".EntireRow" after referring to a Range. The .Count method is used to count the number of cells in a range. range("R3C2") refers to cell "B3". To use R1C1-style referencing type "R" followed by the row number and "C" followed by the column number. cells(3,2) refers to cell "B3". One frequent problem when working with VBA is defining the appropriate ranges for your work. For example, you have several columns of data, and you wish to add an additional column of calculations. What column should you place your calculations in? How far down should your calculations go (which row)? Luckily, VBA provides us with several useful commands to help us out. Excel keeps a record of the last used cell in each worksheet called the Used Range. The Used Range helps keep the file size and calculation time as small as possible by telling Excel to ignore all cells outside of the Used Range. You can reference the Used Range in VBA to find the last used cell. 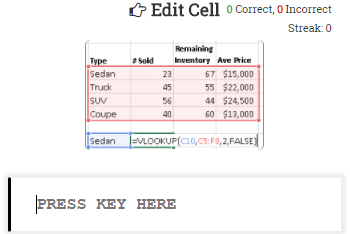 This code finds the last used row in the Activesheet and assigns it to variable "lrow"
The Used Range only recalculates when the workbook is saved. If you delete rows, columns, or data you will need to save the workbook before those changes are reflected by the Used Range. The Used Range can count formatting. Even if a cell value is blank, if the cell is formatted it will count in the Used Range. Make sure to use .clear instead of .clearcontents if you want to remove cells from the Used Range. You could also delete entire rows or columns. This is the equivalent of pressing CTRL + Down Arrow while in cell "A3". 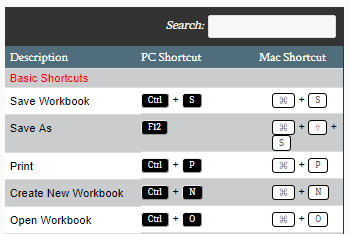 If you aren't familiar with the CTRL + Arrow shortcut, you should really learn it. It's a massive Excel time-saver. CTRL + Arrow jumps to the last non-blank cell in a series, or the first non-blank cell after a series of blank cells. Notice here that Rows.Count counts the number of rows in the worksheet. You can do the same with columns, however the syntax is a little different. Instead of "xlLeft", you use "xlToLeft" and "xlToRight". This will select cell B3 (2 down, and 1 to the right of cell "A1"). Resize allows you to resize a range of cells to a specific number of rows and columns. It works very similarily to Offset. It's important to keep in mind that resizing specifies the total number of rows and columns in the new range not the number of rows and columns to add (or subtract) to the existing range. Resize(0,0) will result in an error. To resize to a single cell use Resize(1,1). Also, keep in mind that your starting cell, will always be the upper-leftmost cell in the range. Cell "B1" is row 1 of column 2 (R1C2). 16. Set the formulaR1C1 property of range "B1:B10" to equal cell "C8".range("B1:B10").formulaR1C1 = "=R8C3"
When you use either of these techniques, your formula is "hard-coded", meaning the formula will be applied exactly the same to the entire range of cells. In the first example above, all cells "A1" to "A10" will have the formula "=b1". In this example, the "" after "C" indicates the first column to the right of the cell containing the formula. The brackets indicate "relative" references. When using relative references, you indicate how many rows/columns to offset from the current cell. By not having anything after "R", you are telling VBA to look at the same row. If you use numbers without brackets, you are using the regular R1C1 cell references that we learned about before. Those references are hard-coded, and will not move. 17. 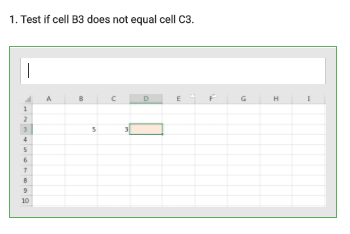 Set the formulas in range "B1:B5" to equal the cell directly to the left (Hint: Use negative 1)range("B1:B5").formulaR1C1 = "=RC[-1]"
You will probably use RC-style referencing the most when working with cell formulas in VBA. This technique can be hard to remember and it is very easy to make mistakes. 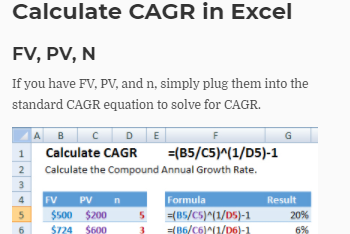 We recommend recording a macro, entering the formula directly into Excel, and then copying/pasting that recorded formula into your main procedure. Activecell references the currently active cell within VBA. So far we've mostly used the Sheets object to identify which sheet to work with. Now we will learn about the worksheet methods and properties. The Visible property actually has a third option: xlSheetVeryHidden. 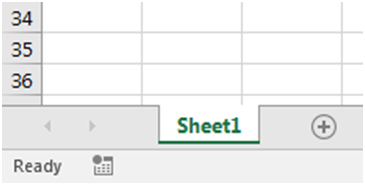 In addition to hiding the worksheet tab, the tab can't be unhidden from within Excel. It will disappear from the sheets list, and can only be unhidden using VBA. 21. 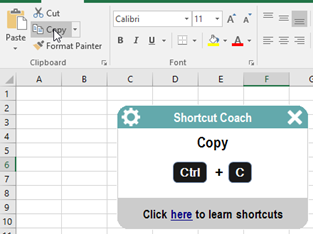 Rename sheet "inputs" to "Start Here".Sheets("inputs").Name = "Start Here"
Worksheets can be password protected to prevent a user from accidently corrupting the workbook. If you password protect a worksheet, you will need your code to unprotect the worksheet before it can make changes to any protected properties, and re-protect the sheet once the code finishes running. Instead of "password", enter the actual password, or you can actually ignore the password argument if you want to protect the sheet, but don't want to require a password to un-protect it. To unprotect a worksheet, use the same syntax. 22. Unprotect the worksheet named "calcs" with the password "abc123".Sheets("calcs").Unprotect "abc123"
The Protect method actually has many other arguments indicating what a user can and cannot do to the worksheet. The best way to get the options that you want is to Record a Macro with the appropriate settings and then copy&paste the recorded code into your procedure. Message boxes and Input boxes are used to communicate information to the user or receive information from the user. msgbox "Code Paused. Click â€˜OK' to Proceed." 1. Create a basic message box with the prompt "STOP! "Msgbox "Stop!" Where anything in brackets () is optional. If the optional arguments are left blank, then they are set to the default values. For example, if you leave "buttons" blank, it will default to the simple vbOKonly (as in our example above). This is a vbYesNo message box. When "yes" or "no" is clicked, the message box will output vbYes or vbNo to a variable (vInput in our example). vbYes can also be used as the integer value 6 and vbNo as 7. 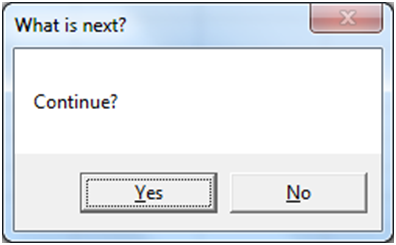 If the user selects "Yes" then vInput is set to vbYes and the message box "You selected Yes" is displayed. 3. Now create the same message box, but with buttons=vbYesNoCancel instead to add a cancel option.vinput = MsgBox "Is it an animal? ", vbYesNoCancel, "20 Questions"
The great thing about message boxes, is that you can ask the user in the middle of the code, what actions they want to take. It's a little like a Choose-Your-Own-Adventure novel. The variable myValue receives the user input from the InputBox. Now let's add a title and a default value to the InputBox. The default value will pre-populate in the input area. MsgBox and InputBox work well to take very basic input from the user. However, to create fully customized forms you need to use UserForms. UserForms allow you to add buttons, checkboxes, togglebuttons, text, inputforms, images, scrollbars, and more. You can trigger procedures to run when certain "events" happen, like selecting an option. UserForms are built from scratch within the VBE. Unfortunately, because UserForms are so flexible, they often require quite a bit of coding to set up. Many of you will never need to design UserForms, so we won't include them here in detail. Instead, when you do work with them, we recommend searching online for guidance. An event is an action that can trigger other code to run. Examples of events include changes to a specific worksheet, activating a worksheet, opening a workbook, saving, and closing. An event is an action that can trigger other code to run. Examples include: any cell in a worksheet is changed, a worksheet is activated, before saving a workbook, or before closing a workbook. Application - Events that happen to the Excel application itself. Charts - Events that happen to charts. We won't cover these. Userforms - Events that happen within Userforms. Where "CommandButton1" is the name of the button. You can see there are quite a few events, that allow you to create fancy user interfaces. One of the most popular worksheet-level events is the worksheet_change event. The worksheet change event will run whenever there is a change to the worksheet. Notice that we need to declare the variable "Target" as a range, allowing it to be passed into the event procedure so that you can refer back to the changed range within the procedure. Be careful! Your range could be more than one cell, so you will need to build your code accordingly. You may be wondering what "Byval" means. "Byval" means the variable is locked in as a value and cannot be changed within the procedure. Workbook-level events are triggered for things like saving, opening, closing the workbook where the code is contained. Application-level events can be placed wherever. This code will add a worksheet to any workbook that is opened. We can't cover all the events available to you. Instead, if you think you might want to add an event to your workbook, do a quick online search. In this chapter we will introduce you to settings that will speed up your code and improve the user experience. You should use these VBA commands over and over again in all of your procedures. Disabling screen updating also makes your code look much more professional. This is a must use setting. 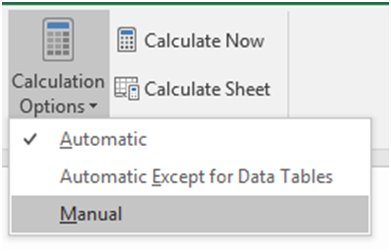 This stops Excel from calculating your workbook until you re-enable calculations or until you tell Excel to calculate. Disabling auto calculations can make a huge difference in processing speed. You can also calculate specific sheets or ranges by applying the .calculate method. This will only slightly improve processing speed. 5. Set the Status Bar to say "Step 1"Application.Statusbar = "Step 1"
Earlier we introduced you to Events that you can use to trigger code (Event Procedures) to run. These events can be great for the end-user, but while developing the workbook, you probably want to disable them. Also, within your procedures you may need to disable events to avoid an endless loop. For example, if you have a worksheet_change event that makes changes to that same worksheet, your code will result in an endless loop. You will need to disable events to avoid this. By setting it to xlInterrupt you can turn the cancel key back on again. When you first start coding, you will probably create a single sub procedure that completes your desired task from start to finish. As you become more sophisticated, your code will be split across multiple procedures in different modules. This section covers the different options available to you as your code becomes more complex. Where "variable_name" is the name of the variable you wish to declare. 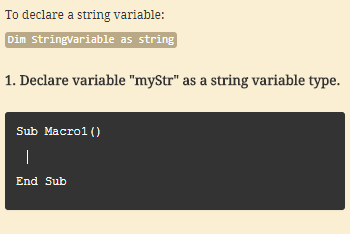 Of course you can declare any type of variable: string, long, etc. By declaring a Public Variable, you can use the variable in as many functions, or procedures as you'd like. The variable value will be stored in memory, so if you assign a value to that variable in one procedure, that value can be accessed in other procedures. Global and Public variables behave virtually identically. Global is a declaration used in earlier versions of Visual Basic and has been kept for backwards compatibility. The Global declaration won't work in certain cases, whereas the Public declaration will always work. With that in mind, we recommend using Public variables. When declaring variables in this way, you do not need to add "dim" to the front of the declaration. Let's look at an example where we want to calculate the maximum between two values. Here we've defined the function MaxValue. When we call this function, we need to specify two numbers, a and b. The function will then check if a is greater or equal to b; if it is, the function will return the value of a. If not, it will return the value of b. Notice that to assign the result to the Function, you enter "Function Name = â€¦.."
Calling a function is a bit different from calling a sub. Because your function will return a value, you will need to assign the function's value to something (often a variable). 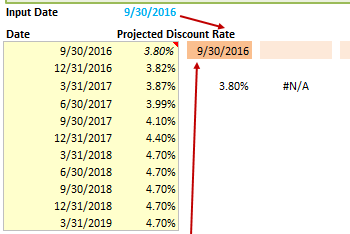 Let's look at how we will call our MaxValue function from a sub. In this example, we will call the MaxValue function and check which of the values 10 or 12 is the maximum. Then the value of 12 will be returned and stored in the variable TheMaximum. The great thing about functions are that they don't only work in the VBE. You can also call them directly from your worksheet! After you've created the function above in a new module in the VBE, go to you Excel worksheet and start by typing "=MaxValue". Do you see your newly created function? Earlier we introduced you to Public variables. These are variables that may be used anywhere. By default, all functions and procedures are also considered "public". Public Functions can even be used in an Excel workbook similar to Excel's default functions. In broad programming terms, an Array is a series of objects of the same type. Usually arrays are used to store sets of data. Think of arrays in a similar way to a series of cells in an Excel worksheet. You can return values in an array by referencing its position in the array, similar to how you can reference a cell based on its column and row numbers. Arrays are at the core of every programming language, but when working with Excel, arrays aren't necessary because you can store information within ranges of cells. The primary advantage to using arrays is processing speed. Reading and writing to ranges of cells in Excel is relatively very time-consuming. Reading and writing to arrays is much faster. If you are concerned with speed and your code reads or writes large amounts of data to Excel, you should consider using Arrays. Why 4? Arrays by default start at 0. So when declaring array length in this manner you must subtract 1 (5-1=4). So, in this case, the first item in the series will be 0 and the last item will be 4. This option only applies to the module where the declaration resides. We recommend always defining the upper and lower boundaries of the array, using the first method that we discussed. By explicitly defining the ranges, you won't make the mistake of forgetting where the array starts. 4. Assign the value "Tom" to Arr (10)Arr (10) = "Tom"
This will read values from range("a1:a6") and put them into the array. Or display the value using a message box. This will create a 5 row and 2 column array. Notice we need 2 different loops to populate the 2 different dimensions. We used x to move horizontally and y to move vertically.